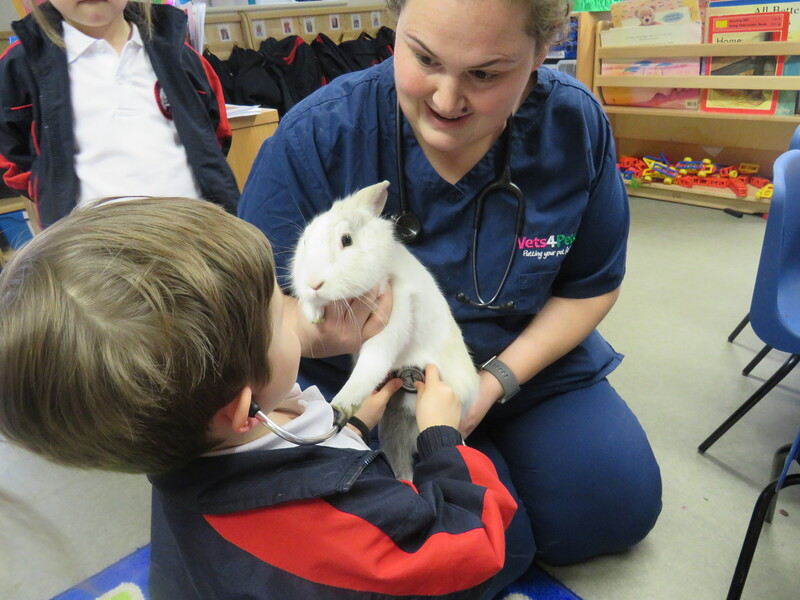 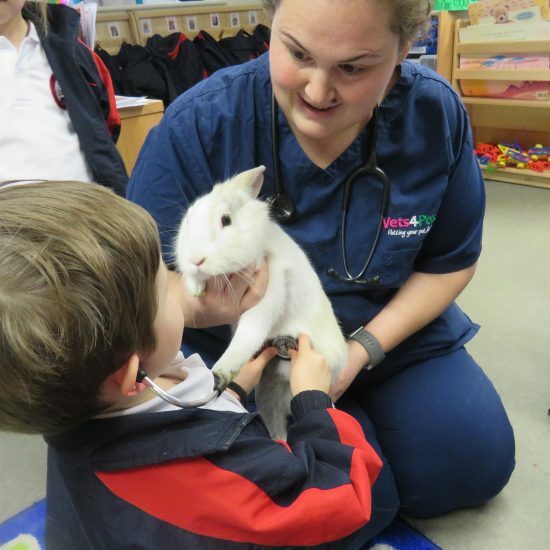 As part of their People Who Help Us topic the children in the Reception Class had a visit from the vets at Vets4Pets in Bagshot along with two rabbits and a gecko. 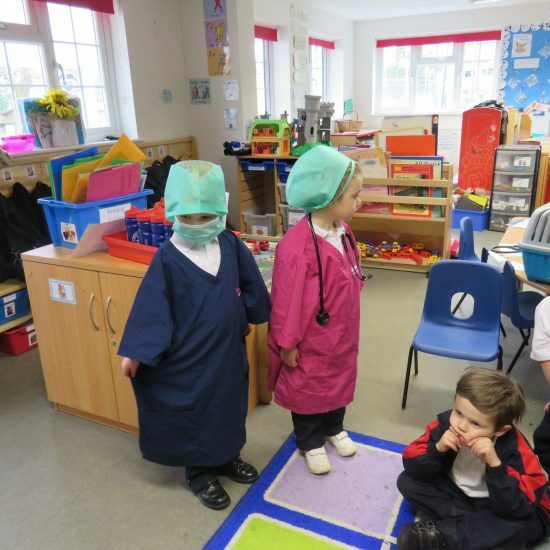 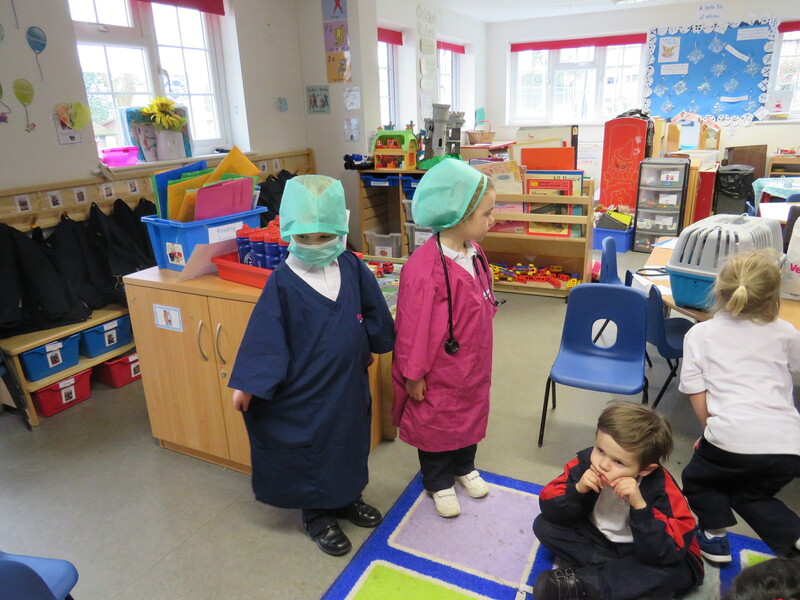 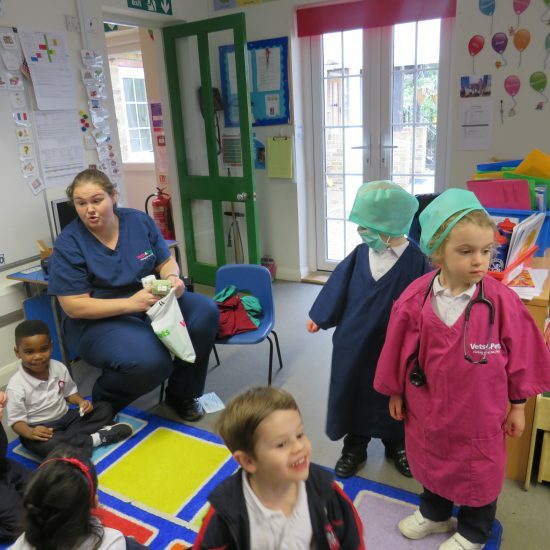 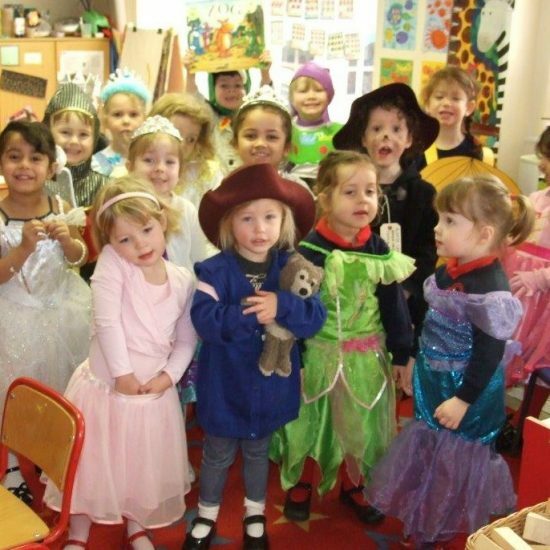 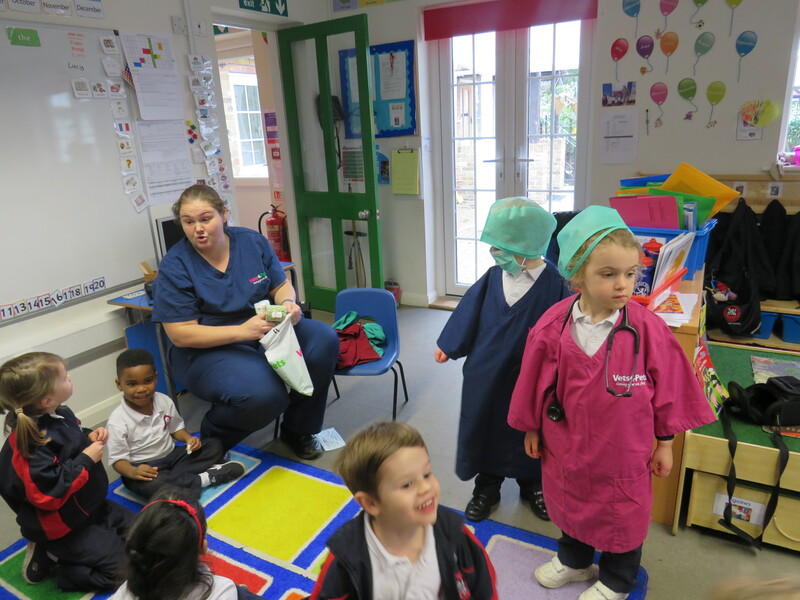 The children found out why vets and nurses have to wear special clothes by dressing up in scrubs, gloves, masks and a hat, they learnt how to administer a check- up on a rabbit and how to care for a gecko. 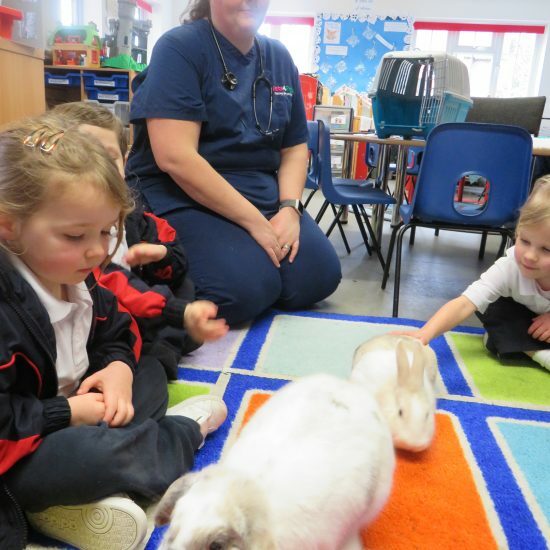 The exotic gecko was a particular hit with the children. 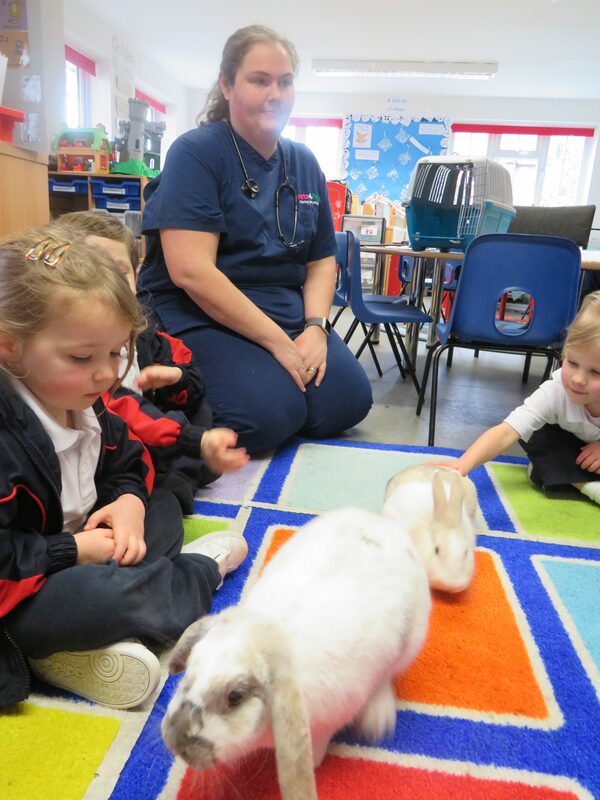 Thanks to the Vets4Pets team for giving up your time to explain your job to the children.